From the internationally best-selling author of Miramar Bay comes a deeply emotional novel that explores the challenges of living, the joys of loving, and the bittersweet act of letting go. Since the age of seven, Lucius Quarterfield has known he is dying. Doctors told him he had a "bad ticker" and might not live to see his next birthday. But somehow, the frail yet determined boy managed to hang on and surprise everyone. The bullies who teased him. The family who neglected him. The professionals who offered little hope for a normal life. To their surprise, Lucius not only survived to adulthood, he thrived, turning a small car dealership into a successful chain. But now, at 28, his time is finally running out. So he's returning to the one place he ever felt happy, near the only woman he ever truly wanted - the California seaside town of Miramar Bay. Jessica was the only daughter of the only dentist in town. An ardent fan of Jane Austen, she was able to follow in her father's footsteps, as he desired. But Jessica preferred the simple things in life - a trait that captivated Lucius from the moment he arrived in town on business. Her carefree approach to living and playful, quick wit were a breath of fresh air to a man who devoted all his time to work. They were complete opposites and perfect complements. Soon they were falling head over heels - until Lucius pulled away, to spare her the pain of his inevitable fate. Now, after all this time, he won't put her through that again. His days are numbered. And whatever happens - with Jessica or anyone sharing his journey - he's going to make each moment count. Because he knows that everything is about to change...he just can't know exactly how. 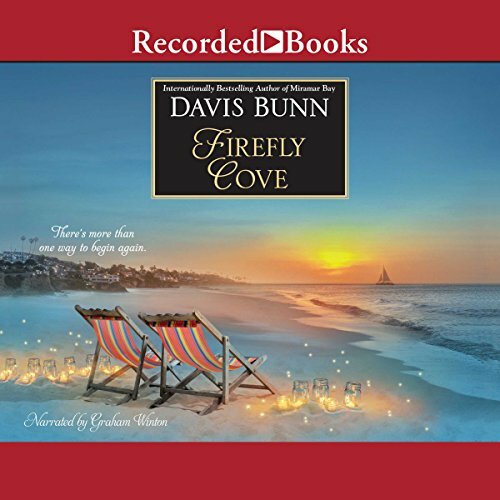 Warm-hearted, wise, and wonderfully moving, Firefly Cove is a powerful novel of first love and second chances that will live in listeners' hearts for years to come.